One term that littered our little bicycle racing world back in the late 80’s and early 90’s was the term“Euro”. It was considered a compliment to be referred to as such. It meant you raced and trained in an old school way, and above all else, it meant that you had the ability to suffer. It went without saying that the Euro dudes were tough as nails. In Europe, that ability to suffer was often a result of trying to escape from a factory job, or a life as a farmer. And to escape the drudgery of those jobs meant dedication, sacrifice, and suffering, and no one suffered more on the bike than the Belgians. So if you were growing up in the States and you wanted to make it in cycling, there was one proving ground, Belgium. And locally the guy that took that script closest to heart was Jeff Rasch. It always seemed to me that trying to get some advice or feedback from any of the Euro guys was like trying to break into Fort Knox. These were lessons learned through sacrifice and suffering, and you were going to have to learn them the same way they did, the hard way. So imagine my surprise when after a team meeting Jeff Rasch approached me and told me that I was going to go to his house on Sunday and he was going to fit me on my bike. It was an offer that I knew would only come around once, so I wasn’t going to squander it. Once arriving at Jeff’s house, he wasted no time in telling me that my saddle was a few centimeters too low, and my reach was at least 3cm too short. Adjustments were made, and advice was offered, much of which I still follow today. Training programs were drawn up, diet was modified and improved, and ultimately a commitment to bicycle racing was established. As someone who always felt like he was on the outside looking in, Jeff’s inclusion made me feel like I belonged. Did he see something special in me that caused him to let his “Euro Guard” down, or was he just getting soft, either way I felt special, and it certainly gave me the inspiration to keep going. The following weekend I arrived at a race trying to strictly adhere to all the lessons that Jeff had taught me. It was a pretty cold day, so I made sure that I had my knees covered, just as Jeff had instructed me to. “If I see you riding without your knees covered and it’s below 65 degrees, I’ll break your kneecaps”, is exactly what I remember him saying. I recall trying to make sure that Jeff saw me so that he could offer me his approval, but when I rode past him in the parking lot, he hardly cast a glance at me. He must have been in “Euro Mode”, calm, cool, and collected. Certainly too cool to let other racers know that he had helped a young punk like me find his way. As I continued pursuing my racing career, I began to glean information from any source I could find. Many times this information would be pulled from some European cycling magazine, translated into a cryptic but acceptable format. As soon as I could confirm that these new methods were valid, I put them into my vault of top-secret training methods. The last thing that you were going to catch me doing, was handing over these lessons to someone that could then use them to beat me. I assumed that this was the Euro Way, and that Jeff had simply had a moment of weakness, so many years ago. Jeff continued to be one of the fastest local guys and continued to make his pilgrimages to Europe every year, always coming back faster, tougher, cooler, and most certainly “more euro”. Our paths crossed numerous times over the years, and we became racing friends. But the mystique and the allure of his “euro-ness” was always this intangible vibe that he seemed to have, and none of us could duplicate. We all certainly tried. Regardless of how many miles I would ride in a day, or regardless of the poor weather conditions I would subject myself to, I knew that Jeff would have ridden longer, harder, and most certainly in worse weather conditions. It pushed me to improve, and it inspired me to find my own way. Being somewhat of an introvert from the beginning, hanging onto these “racing secrets” began to isolate me even more from some of my fellow racers. It didn’t bother me; I just figured that it just made me more independent, tougher, and certainly more Euro. At the height of my racing and fitness I recall a day when a few of us met up to ride to one of the Wednesday Night Training Races. Jeff Rasch was there, and therefore, I was euro-posturing to the best of my ability. 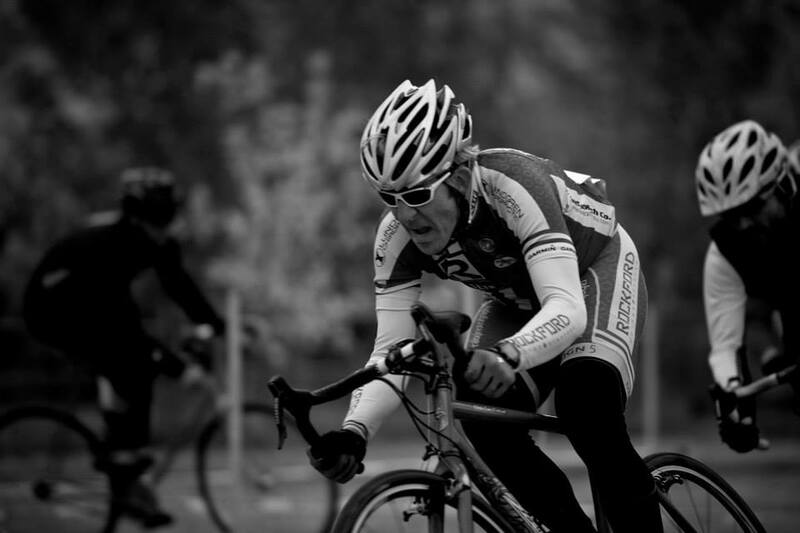 I cast out an aura of confidence, coolness, and indifference to anyone other than a fellow bike racer. And then it happened; a young kid rode up towards our group on his bmx bike. In my eyes this kid wasn’t worth a second glance. But Jeff saw that his helmet wasn’t fitting right. Jeff welcomed him over, told him how cool his bike was, and asked to look at his helmet. Jeff made some quick adjustments to the straps and then placed it perfectly back on the kid’s head. He gave the kid a few encouraging words, and left the kid stoked and smiling from ear to ear. I was flabbergasted, Jeff wasn’t Euro all these years, Jeff was just a cool dude. All the posturing I had done and held onto for all those years was gone in a flash. Jeff didn’t make it cool to be Euro, he made it cool to be himself. It’s a lesson I have since carried forward everyday.